Save-The-Date Cards vs. Magnets: Which Should You Choose? You and your honey are ready to tie the knot, and you can’t wait to do it in front of your family members and friends. You’ve got the date set, and the wedding location booked. All that’s left to do to get everything in motion is to send out the save-the-date cards…right? Before you order your save-the-date cards, consider this: you’ll need to find a way to make it easier for your loved ones to remember when your wedding is approaching. Sure, sending out a card is a great way to get your wedding date on their calendars – but how else can you get your loved ones to keep your wedding in mind as the date approaches? The answer is simple: opt for save-the-date magnets! Like the save-the-date cards, these magnets offer a fantastic way for your loved ones to remember your wedding date, with one particular bonus: your family members and friends can put it on their refrigerators where they can see it every day. That way, you’ll never have to worry that your wedding will slip Great-Aunt Jean’s mind, or your absent-minded friend will forget to RSVP. So what should you include on your save-the-date magnet? The Date of the Wedding: The date of your wedding ceremony and reception should be front and center on your save-the-date magnets. Remember, this isn’t the official wedding invitation – you just want to give your wedding guests the time they need to make travel arrangements. A Link to Your Wedding Site: These days, more couples are opting to host their own wedding website (www.theknot.com offers couples the opportunity to launch their own website for absolutely free). You can include a link to your website on the magnet, which is where your guests will find information on hotel accommodations, gift registries, and other traditional wedding information. A Picture of You and Your Honey: Save-the-date magnets are far less formal than wedding invites, so don’t hesitate to have fun with the design! Put a picture of you and your honey on the magnet, or create some fun designs that represent your relationship or the theme of your wedding. No matter which option you pick, the wedding invitation should have special meaning and clearly represent what makes you and your future spouse meant to be. Save-the-date magnets are convenient, fun, and surprisingly affordable. As long as you include all the right information and send the save-the-date out in time, you can’t go wrong with either a traditional card or a magnet. Visit SaveTheDateForLess.com today to discover special designs and a wide selection of both magnets and cards. 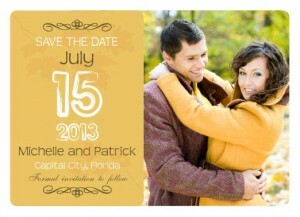 Also, don’t forget to ‘like’ us on Facebook to get up to 25% off save-the-date-cards! Offer ends August 31, 2012. Email vs. Save the Date Cards: Which Option Should You Pick? When it comes to saving money on your wedding, there’s no denying that you’ve toyed with the idea of emailing your save-the-date notices, rather than sending out save-the-date cards. On the one hand, emailing your friends and family a save-the-date saves you money. On the other hand, not all of your friends and family members will have access to email, particularly the older family members. Additionally, emailing the date of your wedding feels far less formal than a traditional save-the-date card. So when it comes down to it, which is best: email vs. save-the-date cards? The primary benefit of emailing a save-the-date is cost savings. For couples on a budget, email offers a fantastic way to save much-needed money. Of course, there are also multiple disadvantages to emailing save-the-date. Sending save-the-dates by email makes it much more likely that some of your friends and family members will miss the notification altogether, simply by having the email go into their spam folder or overlooking it or accidentally deleting it. Another disadvantage is that not all of your family members have email addresses. Your friends may appreciate an email invite, but what will you do for your older relatives who aren’t exactly sure how to work a computer, let alone an email address? Even though we live in an Internet age, plenty of people still do not use email. Despite the advantages of email invites, save-the-date cards are still the preferred way to let your loved ones know that you’re about to tie the knot. It shows you care, and is a lot more memorable and special than an email. Save-the-date cards give your wedding a more formal feel, which means your friends and family members will be far more likely to RSVP when your wedding invitation comes later, and far less likely to throw away the card. Save-the-date cards make it easier for your loved ones to remember your wedding, by putting your card on the refrigerator or bulletin board. Additionally, cards allow you to establish the theme of the wedding early on. Our matching collections provide a consistent theme for all your wedding printing – from save-the-date cards through thank you cards, and everything in between. Finally, save-the-date cards don’t have to eat up a chunk of your wedding budget. 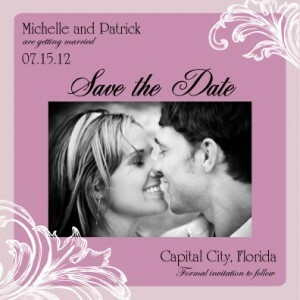 At SaveTheDateForLess.com, you can save 10% off your save-the-date card order. ‘Like’ us on Facebook, and you’ll get a whopping 20% off your entire order. Don’t delay, offer ends July 31, 2012! 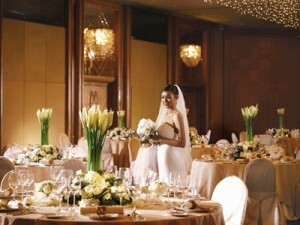 You deserve the best in the run-up to your special day…and only SaveTheDateForLess.com can give it to you!